-- Immersive programs with practical applications are led by Diane S. Hopkins, nationally known patient experience and innovation leader, health system strategy executive and author of the book, "Unleashing the Chief Moment Officers"
NORTHFIELD, Ill., April 2, 2019 /PRNewswire/ -- Medline today announced a new Patient Experience & Innovation Institute to assist the growing number of hospital and health system leaders who recognize patient experience is an organizational priority that supports every aspect of their operational objectives. The intent is to help health systems deliver meaningful bottom-line impact, better outcomes and long-term revenue improvements. "Years of working closely with Medline customers taught us that consistent high performance in patient satisfaction is a source of frustration for many health systems," says Martie Moore, Chief Nursing Officer for Medline. "The new Patient Experience and Innovation Institute responds to this need by guiding hospital leaders to enhance their ability to sustain exceptional care experiences." Medline's overarching patient experience strategy is being headed by Lisa Petrilli. Petrilli selected Diane Stover Hopkins as Executive Director of the Institute based on her extensive background working within healthcare to build more innovative cultures. Programs are held at Medline headquarters in Northfield, Ill. and include two and three-day interactive workshops that give executives and clinical leaders new tools and insights to strengthen their overall performance and staff engagement. Safety as the foundation of an exceptional experience is a unique approach that Medline takes for these workshops at the Institute. "This program is nowhere else in the country," said Institute attendee Jennifer Kreiser, Vice President of Patient Care Services at Sentara. "I would like to send all my new people here." 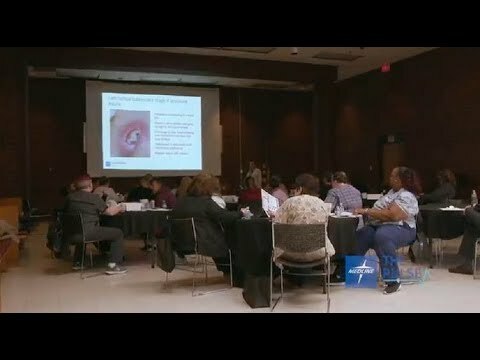 To learn more about the Patient Experience & Innovation Institute, or to reserve your spot, visit https://www.medline.com/pages/patient-experience-institute/.